A two-bedroom apartment in Reef will surely catch your fancy. It is fully-furnished, moving in would be a breeze. Its monochromatic color and design add to the unit’s cosy appeal. Accent pieces add life to the unit’s homey ambiance. Make every day close to perfection with unlimited access to the sauna and steam rooms, your own parking space, satellite television and internet connections, a well-appointed gym, a swimming pool, a children’s playground, and a round the clock security service to ensure your safety 24/7. 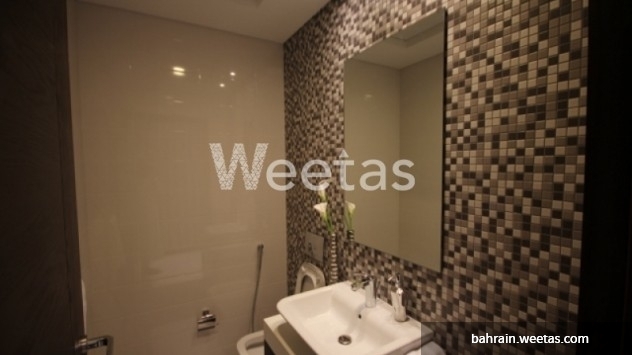 The apartment is available for sale with 132,000 BD from Weetas. For more information call us now. This property costs 0.7% less than the average 2 Bedrooms Apartments in Reef Island area.